Two men and an 82-year-old nun who allegedly broke into the U.S. government's only storage facility for weapons-grade enriched uranium and splashed it with human blood may face additional charges, the U.S. Attorney for Eastern Tennessee told ABC News Thursday. 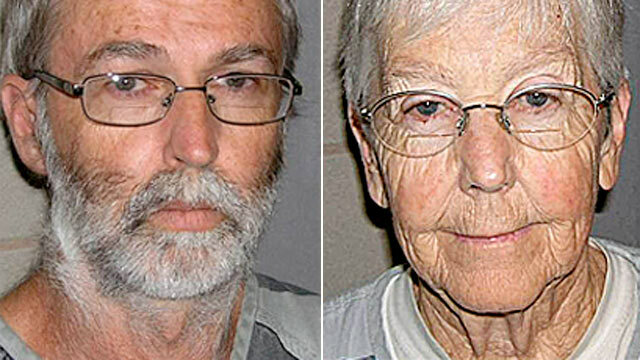 The peace activists, Sister Megan Rice, 82, of Nevada; Michael Walli, 63, of Washington, D.C.; and Greg Boertje-Obed, 57, of Duluth, Minn., were charged with trespassing after allegedly breaking into the Y-12 national security complex in Oak Ridge, Tennessee at 4:30 a.m. Saturday. U.S. Attorney Bill Killian said more charges would be filed against the defendants, but did not say what the charges would be. "Some of the defendants here have prior records involving various facilities through the country," said Killian. "This is a matter of national security and it is a significant case." The protestors, who are members of the "Transform Now Plowshares" movement, allegedly cut through four fences to gain access to the Highly Enriched Uranium Materials Facility, which holds enriched uranium. According to Wyatt, they spray-painted the building and splashed human blood on it, according to Y-12 spokesman Steven Wyatt. They also left banners and read from the Bible. Josh McConaha, a spokesman for the National Nuclear Security Administration, said the alleged intruders had "no access" to any nuclear material -- "not even close." The use of blood was meant to "[remind] us of the horrific spilling of blood by nuclear weapons," Plowshares said in statement released via its website Monday. "We come to the Y-12 facility because our very humanity rejects the designs of nuclearism, empire and war," the statement said. "Our faith in love and nonviolence encourages us to believe that our activity here is necessary; that we come to invite transformation, undo the past and present work of Y-12; disarm and end any further efforts to increase the Y-12 capacity for an economy and social structure based upon war-making and empire-building." Before being taken to the Blount County jail, where they're currently being held, Walli, Rice and Boertje-Obed gave bread to the Y-12 security officers. The three were arraigned on federal trespassing charges in district federal court in Knoxville Monday. If convicted, the activists could face up to $100,000 fine and up to a year in prison. Following the break-in, B&W, the management and operating contractor for Y-12, ordered a temporary security stand-down, which is expected to end next week. All nuclear operations will stop during the stand-down and security personnel will undergo training and refresher instruction. "We've just got to do this to make sure we get the answers we need to address what happened and move forward," Wyatt told ABC News. The Department of Energy Inspector General is investigating how the trio broke in. "There's never been anything quite like this before," Wyatt said. The targeted facility was built in 2010, Wyatt said. It is longer than a football field and was built with security in mind. Additionally, Y-12 employs more than 500 security officers. Walli was one of ten activists who were convicted last year of trespassing after they intentionally crossed a blue line separating state and federal property at the Y-12 complex in 2010, Knoxville ABC affiliate WATE reported. "When we spoke with them from jail on Saturday, they were, I have described it as elated, because they did what they wanted to do, they came back," Ellen Barfield, a friend of the activists, told WATE.